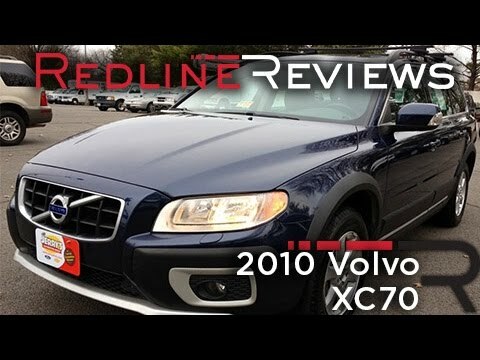 If you're looking for a vehicle that can tackle the great outdoors or snow-covered roads with ease, but you don't want a bulky or unsophisticated SUV, the 2011 Volvo XC70 is a great choice. I love that my vehicle gives me the space of an SUV and drives like a sedan. I feel safe and the gas mileage is great. I only fill my tank about once-twice a month. It's safe, reliable, built well. Quick pick up. Leather seats, all wheel drive. Good gas mileage. VOLVO IS RECALLING CERTAIN MODEL YEAR 2011, S80, S60, XC70 AND XC60 VEHICLES. THE SOFTWARE CALIBRATION FOR THE FUEL CUT-OFF FUNCTIONALITY IN THE ENGINE CONTROL MODULE (ECM) IS TOO SENSITIVE. SUDDEN ENGINE STALL COULD OCCUR INCREASING THE RISK OF A CRASH. DEALERS WILL UPDATE THE ECM AND TCM WITH NEW SOFTWARE FREE OF CHARGE. THE SAFETY RECALL IS EXPECTED TO BEGIN ON OR BEFORE DECEMBER 10, 2010. OWNERS MAY CONTACT VOLVO AT 1-800-458-1552 OR AT CUSTOMERCARE@VOLVOFORLIFE.COM.